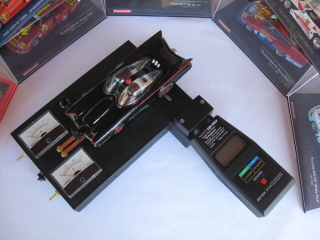 Works with all slot cars-HO, 1/32, 1/24. Watch your car run as its rear tire's spin on a stainless steel roller. Case is constructed with durable Urethane Plastic. 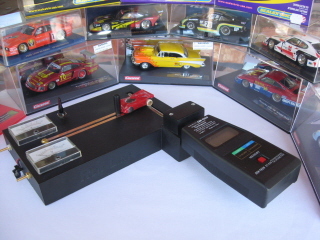 Digital Laser Tachometer reads and stores your cars RPM. 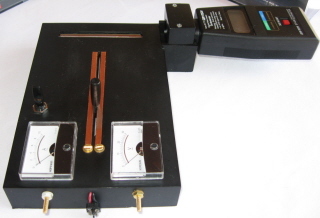 Voltage And AMP gauges incorporated into tech block. Easy plug in pickup guide to power your tech block right from your home track. Commercial power post are also provided. True your tire's, fine tune your car in every possible way. 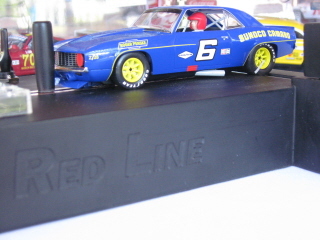 A must have item for the slot car enthusiast.